Since 1918: Proven academic success rooted in a faith-filled environment. Thank you for considering St. Teresa of Avila School! Our mission is to empower children to develop strong academic skills in a Catholic atmosphere. St. Teresa is not only a supportive parish community, but we are a family in every sense of the word. I believe that our Advanced Language Arts and Math programs set us apart. The students that qualify are challenged and excel beyond expectations. I have had the privilege to be the principal here at St. Teresa since 2009 and in education since 1989. I treasure the time that I have been at St. Teresa and I look forward to many more years! St. Teresa is a special place and I feel blessed to be a part of such a loving family. We hope that you will come and experience our welcoming and friendly spirit! We believe that home, school, and parish share a common goal to educate each child. We believe each child’s faith formation begins at home and continues to be an ongoing process which is taught, lived, and celebrated in our school. We believe that through academics, prayer, worship, and daily interactions we strive to impart to our children the Catholic traditions and faith and to live the Gospel of Jesus Christ by serving the Church and community. We believe that all children can learn and that optimal learning takes place when students are actively engaged and are in a safe and accepting environment. We believe that all children can be accepting and appreciative of others’ gifts in a culturally diverse society. St. Teresa of Avila Elementary School is an Archdiocesan Roman Catholic school operated by the parish of St. Teresa of Avila. Our mission is to empower children to develop strong academic skills in a Catholic atmosphere. We strive to educate in partnership with the parents, the whole child: spiritually, intellectually, physically, socially and emotionally. Ultimately, our mission is to enable our students to become responsible and contributing Christian members of society. Proven academic success rooted in a faith-filled environment. The curriculum adopted by the school is based on the course of study, Teaching for the 21st Century, adopted by the Archdiocese of Cincinnati and in accordance with the minimum standards of the State of Ohio. 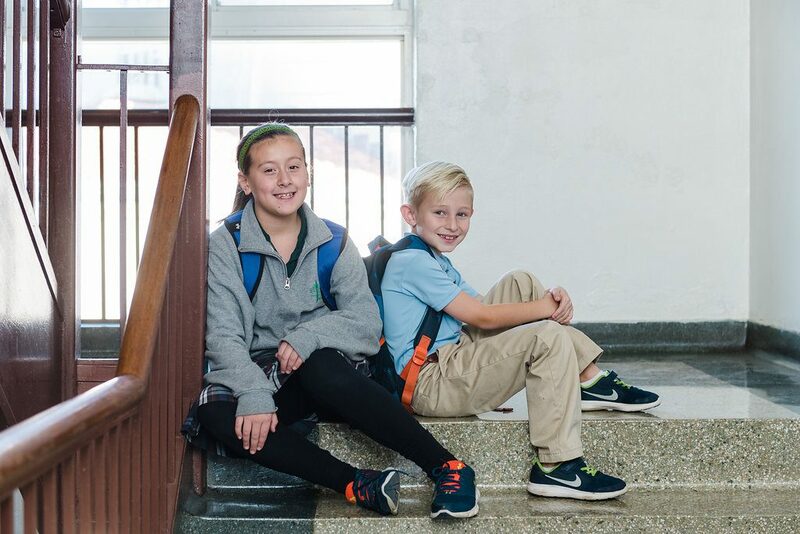 The school calendar and schedule for classes and activities meet, and in some areas exceed, the minimum standards for Ohio elementary schools and the Archdiocesan Education Commission. St. Teresa of Avila follows the Graded Course of Study curriculum in accordance with the Archdiocese of Cincinnati. St. Teresa is a high performing school. Based on the Iowa Test of Basic skills, students consistently exhibit excellent scores. Our eighth grade students perform well on the High School Placement Test and many receive high school scholarships. Small class sizes with an average teacher to student ratio of 20:1. All students attend special classes including Music, Art, Computers, Physical Education, and Library. 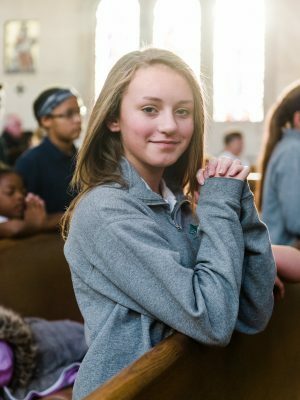 Beginning in the 2017-18 school year, Saint Teresa of Avila School will begin partnering with Seton Education Partners to implement blended learning, the concept of data-driven instruction based on the integration of online learning and traditional teacher-led instruction, in kindergarten through 8th grade. 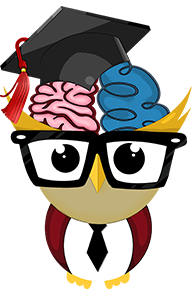 Self-directed, independent study using cutting-edge online curriculum including iReady, Achieve 3000, ThinkThroughMath, and Dreambox, among others. Individualized instruction: Students begin each online session by logging on to a secure, individualized account; our online curriculum providers recognize each student and deliver content and questions that push each student regardless of his or her level. Students who are behind grade level can catch up more quickly; students who are ahead of grade level continue to be challenged. Reduced cost: The economics of education technology follows that of other forms of technology – costs continue to drop as products also become more powerful. Additionally, with half the class working independently online, the cost of a teach can be spread out across larger class sizes while delivering more-effective, individualized instruction. We utilize Option C, an online grading system that parents can access to see their child’s progress in each class. In addition to a computer lab, two laptop carts and iPads are available for classroom use. Smartboards are also utilized in every classroom. 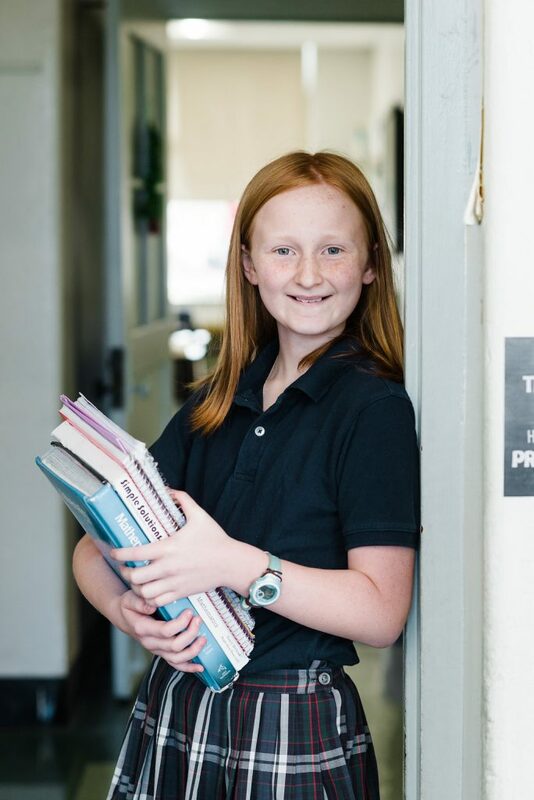 Advanced Programs: Advanced Language Arts and Advanced Math is a part of our core curriculum for students. Student Council, Green Club, Book Club, Power of the Pen, Creative Writing Club, Lego Club, Chess Club, Girls in Science Club, Joyful Noise Choir, Young Authors, Youth Group. Students learn about the teachings of the Roman Catholic Church. Students attend weekly Mass and participate in prayer services such as the Living Rosary, Stations of the Cross, and Reconciliation. Religion is taught daily in the curriculum. Students attend all-school Mass each Friday at 8:15 a.m. during the school year and on Holy Days of Obligation. Classes take turns preparing and participating in the Liturgy. Parents are encouraged and welcome to attend Mass. St. Teresa is not only a supportive parish community, but we are family in every sense of the word. Come and experience our welcoming and friendly spirit! In second grade students are prepared for the Sacrament of Reconciliation in preparation for First Holy Communion. Students are given the opportunity to participate in Reconciliation during Advent and Lent. Second grade students prepare for their First Holy Communion throughout the school year. First Communion is held annually the first Sunday of May. Students participate in Jesus Day, a mini-retreat the Friday prior to First Communion. They bake bread, paint hand prints on the altar cloth used during the Mass and practice their songs and responses. Parents are encouraged to participate. The Sacrament of Confirmation is available this year to the 7th-grade students of St. Teresa of Avila Parish. Special preparation is taken by all students through school or through the PSR program. Students participate in community service and a retreat is held prior to Confirmation in preparation of the sacrament. This school year, Confirmation will take place on Wednesday, February 20, 2019 at 7:00 p.m. with Archbishop Dennis Schnurr. The next Confirmation class for 7th and 8th-grade students will take place in 2021. Throughout the school year students participate in community service projects that foster their personal and spiritual growth. Projects include canned food drives, classroom pen pals with the elderly and spirit day donations for various charities or organizations. St. Teresa School’s Student Council organized themed activities during Advent symbolizing Faith (Prayer Contest), Hope (Toy Drive for Children’s Hospital and St. Vincent De Paul), and Love (Christmas cards for the elderly). Student Council expressed HOPE that families would discuss the themes and share the experience as part of the St. Teresa FAITH community to show the LOVE we have for each other and for God, our Loving Father. St. Teresa Youth Group also encourages community service by holding coat and sock drives for City Gospel Mission among other activities. On my honor, as a student of St. Teresa School, I pledge to be motivated by God in all my actions. I will be honest, show integrity and do my own work. I will treat my fellow students and teachers with honor and respect at all times. I will act in a positive manner that is helpful to others or myself. In the event that I witness an act that violates the Honor Code, I will report the act to a teacher. St. Teresa of Avila School admits students of any race, color, national and ethnic origin to all the rights, privileges, programs, and activities generally accorded or made available to students at the school. It does not discriminate on the basis of race, color, national and ethnic origin in administration of its educational policies, admissions policies, scholarship and loan programs, and athletic and other school-administered programs. St. Teresa of Avila School has 223 students enrolled for the 2018-2019 school year. See why parents choose St. Teresa for their child's education. Our mission is to empower children to develop strong academic skills in a Catholic atmosphere. We strive to educate, in partnership with the parents, the whole child: spiritually, intellectually, physically, socially, and emotionally. Ultimately, our mission is to enable our students to become responsible and contributing Christian members of society.